If you plan on moving your home from Sydney to Brisbane, you need to hire a professional removal service like Caloundra Removals & Storage. Because the distance between the two cities is so wide, you’ll fare much better if you hire a great Sydney to Brisbane removals company. Why Choose Caloundra Removals & Storage? Caloundra Removals & Storage is able to offer you a great many removal services when you move from Sydney to Brisbane (or any place in the area, really). We are able to help you professionally pack delicate items such as crockery, glassware and pictures, along with many other fragile objects. Our company is even able to offer a storage space to keep your belongings in if you need one. 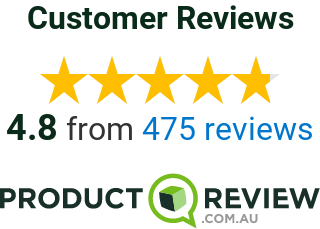 We also offer quotes on our full pre-packaging, fragile item pre-packaging and even per carton packaging services for removals in Sydney to Brisbane. And if you prefer to package your own belongings before you have a Sydney to Brisbane removals service help transport them, Caloundra Removals & storage is able to provide fantastic materials to use. Some of these include removal and book cartons, white and shredded paper, bubble wrap, portarobes plus mattress, picture packs and chair plastics. What’s Special About Caloundra Removals In Sydney? Caloundra Removals & Storage has over 20 years of experience, and during that time, we have become one of Australia’s leading removalists and storage companies. We have not only been able to provide fantastic services for Sydney to Brisbane removals, but also removals in Sydney, Melbourne, Townsville and the Sunshine Coast. As a family-owned and -operated company, we perform all of the removals ourselves and always follow the customer’s schedule. So if you need a Sydney to Brisbane removals company, be sure to call Caloundra Removals & Storage right away on (07) 5493 8888.